with more than 30 healthcare properties nationwide. As the Chief Executive Officer of Healthcare Realty Development Company, Mr. Ellis coordinates the efforts of dozens of professionals involved in acquisition, entitlement, financing, design, construction, leasing and property management. He has extensive experience with every detail of the real estate development process from concept and vision through value engineering with the perspective of long-term cost-effective property management. Mr. Ellis holds a B.A. from the University of Kansas. "Hospitals can no longer afford the commitment, risk or equity necessary to operate as landlords. Given the influx of new patients, the changes in federal legislation and increasing healthcare costs, there's no doubt that placing your medical real estate in the hands of a reputable outside ownership entity can have tremendous benefits. To stay ahead of the curve in the competitive market of physician recruitment and retention, hospitals must be prepared to begin an aggressive real estate strategy today." Jeff Fromm functions as strategic head of Marketing and Trends for Healthcare Realty Development Company. Mr. Fromm has an extensive background and over 25 years experience in applied marketing strategy. He was instrumental in the campaigns for such national leading brands as Hallmark, Sprint, Build-A-Bear Workshop, Sears, Sonic Drive-In and many others. His ability to understand the impact of changing trends allows companies to "pass to where the receiver will be, not to where he is standing today." Mr. Fromm uses leading companies like Forrester, eMarketer and other online resources in addition to proprietary research to access changes in consumer trends to shape marketing programs that will create significant added value for clients. His unique approach is key in our ability to ensure that every Healthcare Realty Development project achieves 100% patient, physician and stakeholder satisfaction. 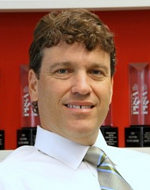 Mr. Fromm holds a marketing degree from The Wharton School of the University of Pennsylvania. He was an exchange student at the London School of Economics and completed a program in Advanced Marketing Strategy at Harvard Business School through its Executive Education Program.
. Jeff has also served as a member and officer on a number of not-for-profit boards, and as an outside consultant for many large for-profit corporations. 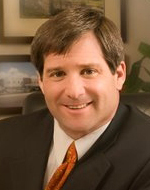 Jeff earned his accounting degree from the University of Missouri-Kansas City.